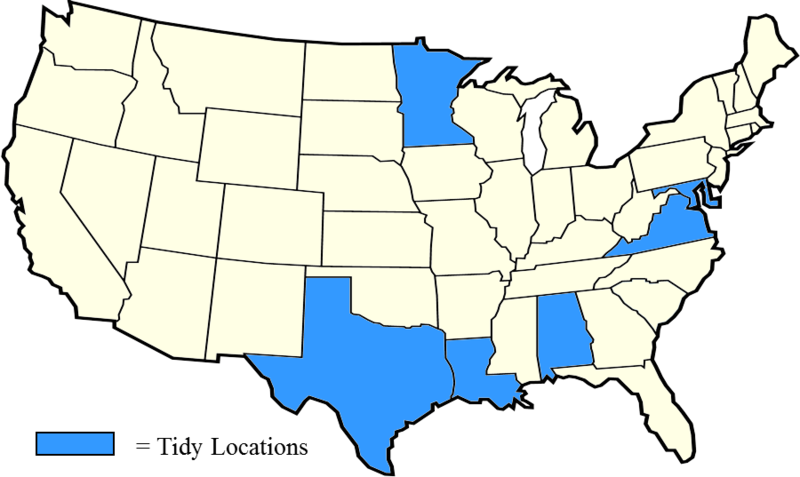 Tidy USA™ – a leader in providing high quality cleaning, housekeeping & janitorial services nationwide. Built from scratch in New Orleans, Louisiana in 1980, Tidy Building Services now provides cleaning, housekeeping & janitorial services in Alabama, Louisiana, Maryland, Minnesota, Texas, Virginia and Washington, DC . Take a look at the extensive list of services that we offer.